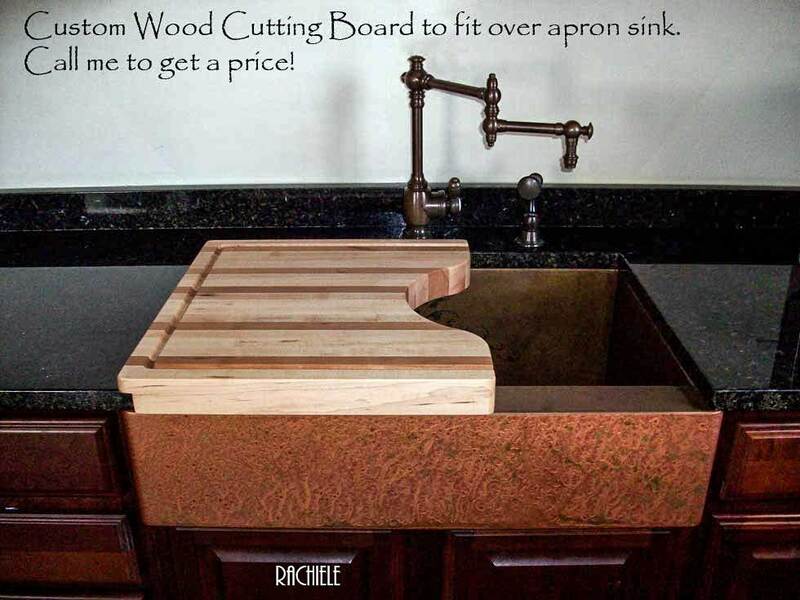 Accessories for Rachiele sinks I hope you will consider joining our family of custom sink owners. I look forward to working with you. I have to give credit to our amazing customers. One thoughtful customer came up with the idea for our Sponge Caddy. It is one of the most ingenious accessories we offer. 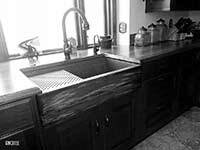 It will only work with our Signature Series and NexGen sinks. It will sit under the grid or the cutting board. No more sponges and scrubbies on the countertop! 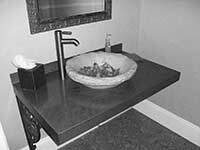 I can build custom Sponge Caddy's to fit existing Non-Workstation Sinks. Just ask by phone or email. Copper and Stainless Sponge Caddy, Grids, Copper Business Card Holder, Wood Cutting Boards, Poly Cutting Boards, Stainless Colanders and Mixing Bowls. 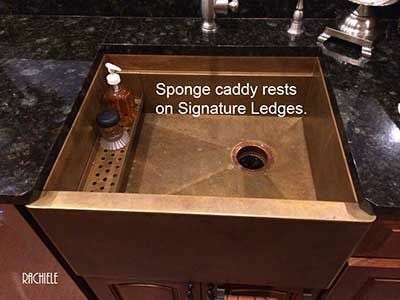 The Sponge Caddy. The best gadget I have come up with in a long time - a place for your sponges and other goodies! 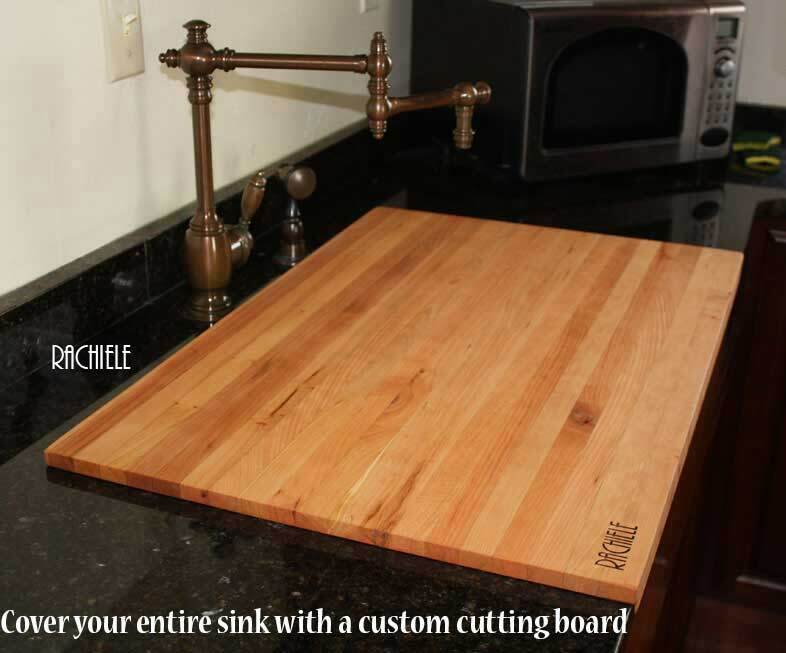 If you have a Signature Series sink, this is a "must have" accessory. 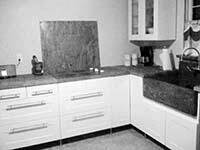 The colander, mixing bowl and other Evolution accessories are available for our Signature Series SInks. Please call me to discuss. 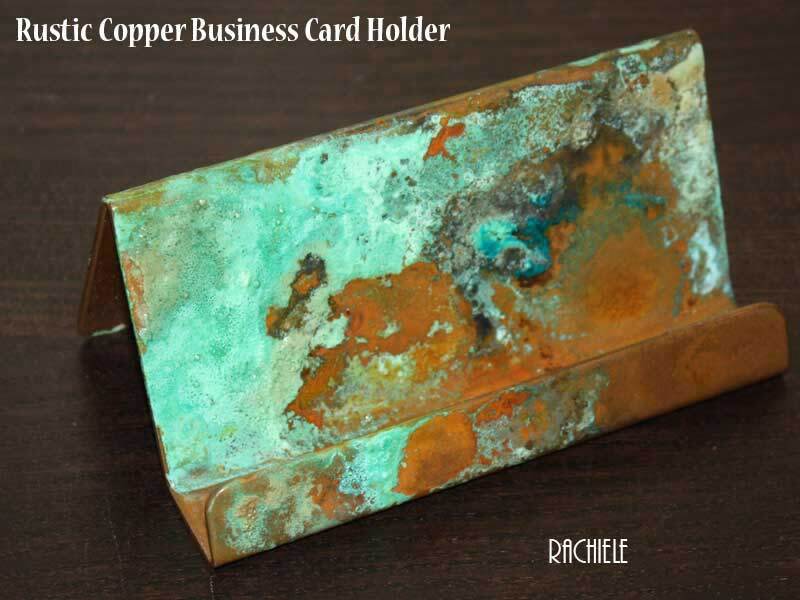 Custom copper business card holderWe are using our smaller pieces of copper for smaller items that are really cool! We used to make these business card holders back when we had dealers. They sold like hot cakes. We thought we would re-introduce them. What a great fathers day, birthday or Christmas gift. 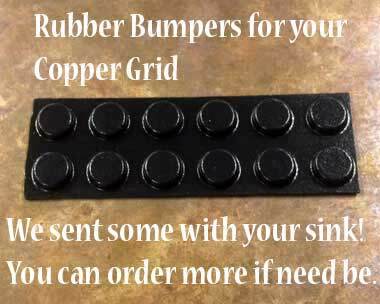 Additional Rubber Bumpers for our copper or stainless steel grids. Keep in mind, we sent extra's with your order. They were likely taped to the grid in a clear plastic zip lock baggie along with a note that says "Don't loose these!" If you need more, these things are expensive... You can order them here. Make sure you clean the area with rubbing alcohol before attaching them to the grid. Also make sure you to not touch the sticky side or they will not stay on long.